Wei-Yin Chen (way-in)...married to Yi-Wen Tsai (eee-wen sigh)... couple has two sons, Karston and Kyle. Finished third season with Miami at 6-12 with a 4.79 ERA (133.1 ip/71 er) over 26 starts (most in a season with Miami)...Began season on 10-day Disabled List with a left elbow strain. Made two rehab starts with Single-A Jupiter prior to being activated, allowing just one run and five hits over 7.2 innings. Made season debut on April 28 vs. Colorado...Allowed 8.84 hits per 9.0 innings, lowest full-season mark since 8.69 in rookie season of 2012. His 7.49 strikeouts per 9.0 rate was highest single-season mark of career, as was his 19.4 strikeout percentage. He walked 3.17/9.0, also a single-season high...Ranked second among National League starters (fourth in MLB) with a 1.62 ERA (78.0/14) at home (min. 10 GS). Only Blake Snell (1.27), Jacob deGrom (1.54), and Ryne Stanek finished with lower marks...Home ERA was fourth-lowest in a season in Club history (min. 10 GS). José Fernández posted a 1.19 ERA in 2013, followed by Josh Johnson (1.57 in 2010), and Henderson Alvarez (1.60 in 2014)...Finished home season with just 51 hits allowed over 13 starts (78.0 ip), marking fifth-fewest hits allowed at home in Club history (min. 10 GS) in a single season, tied with Josh Beckett (2002) and Tony Saunders (1997)... Allowed 5.88 hits per 9.0 innings at home, fourth-lowest average in Marlins history. José Fernández held opponents to 5.14 hits/9.0 in 2013, followed by Al Leiter (5.17 mark in 1996 and 5.76 in 1997). His .185 average against at home ranked as third lowest, behind Fernández (.164 in '13) and Leiter (.168 in '96)...In 13 starts at Marlins Park, limited opponents to one-or-zero runs 10 times. Allowed season-high four runs twice (June 11 vs. SF and August 12 vs. Mets), and three runs once (July 24 vs. Atlanta)...On the road, finished with 9.27 ERA (55.1/57) in 13 starts, the highest road ERA of any Major League starter (min. 10 GS)...Possessed highest road/home ERA differential (7.65) in 2018, ahead of Sam Gaviglio (4.50; 7.91 road/3.41 home) and Junior Guerra (4.43; 6.97/2.54). According to Stats LLC, the 7.67 difference in road/home ERA was largest gap for any pitcher in Majors since Dallas Keuchel had 8.15 difference (11.10 on road/2.95 at home) in 2012 (min. 15 GS total)...Reached 6.0 innings pitched in nine of 13 home starts, but only completed 6.0 innings on the road once: June 16 at Baltimore (6.0)...Had 1.54 ERA in four August starts, lowest monthly ERA (min. 4 GS) of his career. Previous low was a 2.05 in five starts in September 2014. His August ERA ranked 10th among Major League starters (min. 4 GS), behind leader Cole Hamels (0.69)... Tied career high with 8.0 innings pitched on September 1 vs. Toronto. In first season with Miami, went 5-5 with 4.96 ERA (123.1 ip/68 er) over 22 starts. Missed two months with left elbow sprain from July 25 (retro to July 21)-September 18... Made Marlins' debut as Opening Day starter on April 5, allowing five runs on nine hits while striking out three over 5.0 innings vs. Detroit. Marked first career Opening Day assignment...Tossed season-high 7.0 innings on April 20 vs. Washington, taking loss despite allowing three runs on six hits and two walks with seven strikeouts... Earned wins in next three decisions to mark season-best win streak. Marked first win on April 25 at Los Angeles, limiting Dodgers to two runs and six hits over 6.2 innings... Claimed second win on April 30 at Milwaukee, and two starts later won third straight decision, May 11 vs. Milwaukee... In May 11 start, held Brewers to six hits and two runs while walking two and equaling a career high with 12 strikeouts (also July 29, 2012 vs. Oakland)... Had win streak snapped on May 17 at Philadelphia after surrendering three runs (two earned) on six hits (one home run) while walking none and striking out six over 6.0 innings in 3-1 loss... On May 28 at Atlanta, started 127th career Major League game, snapping tie with Chien-Ming Wang for most starts by a Taiwanese pitcher in MLB history...Earned 50th career win in start on June 13 at San Diego, despite giving up career-high four home runs. Went 6.0 innings, allowing four runs and seven hits with a walk and seven strikeouts. Four HR allowed were most since Chris Volstad gave up four on June 14, 2011 at Philadelphia. Was first pitcher in Club history to allow four homers and earn win... Over three-start span of July 20- September 24, did not walk a batter. Three starts without a walk was longest of career. Led Marlins' starting rotation and ranked second among National League left-handed starting pitchers with a 1.75 bb/9 (123.1 ip/24 bb), behind only Clayton Kershaw (0.66). Walked two-or-fewer batters in 20 of 22 starts, including each of his last 11. In fourth Major League season, posted 11-8 record and career-best 3.34 ERA in 31 starts for Baltimore...Ranked seventh among American League starters in ERA, fourth among left-handers, and 14th in pitches per inning (15.7)...Led all Major League pitchers with .170 (27x159) with runners in scoring position...Recorded at least 6.0 innings in 21 of 31 starts, and went 7.0-or-more 12 times...Over first 19 starts, was 5-6 with 2.88 ERA (121.2 ip/39 er), holding opponents to three or fewer runs 17 times: allowed five unearned runs on April 20 at Boston and four runs on May 20 vs. Seattle... In final 12 starts, posted 6-2 record with 4.13 ERA (69.2/32). Limited opponents to three-or-fewer runs in nine of those starts...Tossed career-high tying 8.0 innings in fourth start, April 25 vs. Boston. Held Red Sox to two runs on four hits (one home run) with a walk and five strikeouts. Also went 8.0 innings on June 15 vs. Philadelphia, July 1 vs. Texas and July 12 vs. Washington...Struck out season-high nine on June 4 at Houston and equaled total two starts later, June 15 vs. Phillies... Recorded season-long four-game winning streak from July 26-August 26, posting 4.08 ERA (39.2/18) over seven-start stretch. Had the most wins (16) and lowest ERA (3.54) of his three-year career. His 16 wins were most by an Oriole left-hander since Jeff Ballard won 18 games in 1989. Ended 2014 with 35 career wins, the second-most by a Taiwanese born pitcher in big league history behind Chien-Ming Wang (62). Walked 35 in 185.2IP, the fewest walks for an O's pitcher with at least 175.0 IP in a single season in club history. Ranked third in BB/9 in club history (1.70) in a single season and ranked fifth in the AL this season. Posted a career-high five game winning streak, July 3-August 1 Threw his 500th career inning, September 15 vs. Toronto, the second lefty in club history to do it within his first three seasons withthe club (Steve Barber, 1960-62). Had 11 wins in the team's first 100 games, the third-most by a lefty in club history (Jimmy Key's 13 in 1997 and Erik Bedard's 12in 2006). Went 13-4 over his final 25 starts (beginning May 9). Started Game 2 of the ALDS, allowing five runs on seven hits with three strikeouts over 3.2 innings and did not factor in thedecision (Orioles won 7-6). Suffered the loss in ALCS Game 3 (5.1IP, 7H, 2ER, BB, 4K), his first postseason loss in three starts. Became first Taiwanese-born player in Orioles history ... Led club with 32 starts, the only pitcher to make more than 20 starts for the O's this season ... 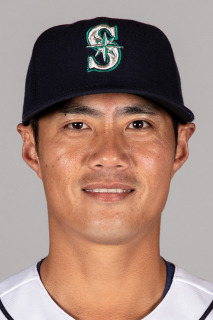 Struck out 12 in 5.1IP, 7/29 vs. OAK, setting a ML record for strikeouts in a game by a Taiwanese-born pitcher, breaking Chien-Ming Wang's record (10), set 6/17/07 ... It was the most strikeouts by an O's pitcher since Erik Bedard tied the franchise-record with 15 K's, 7/7/07 @TEX ... He became first Oriole to strike out 10 or more batters in fewer than 6.0IP ... His 12 wins are most by an Oriole pitcher since Erik Bedard won 13 in 2007 ... Began his major league career 4-0, the first Orioles starting pitcher to begin aseason 4-0 since Erik Bedard (4/5-20/06) ... Became the 4th Taiwanese-born pitcher in ML history to win a game as herecorded his first ML win, 4/17 @CWS, joining fellow countrymen Chien-MingWang (61 wins), Hong-Chih Kuo (13) and Chin-hui Tsao (four) ... Allowed a HR to Derek Jeter, the first batter he faced in the majors, 4/10 atOPACY ... Became first pitcher since Cleveland's Zach Putnam to allow a HR to the firstbatter he faced in the bigs (Adrian Beltre, 9/13/11 in TEX)Struck out Curtis Granderson in the first inning April 10 for his first MLB strikeout ... Recorded first win, 4/17 @CWS ... Among qualifying AL rookies (1 INN/Team G), finished among the leaders in: IP (1st, 192.2); wins (T-4th, 12); strikeouts (3rd,154); games started (1st, 32), opponents' average (4th, .250) and ERA (6th, 4.02) ... Earned the win in game 2 of the ALDS vs. NYY (6.1IP, 8H, 2R/1ER, BB, 3K), becoming the third Taiwanese-born pitcher in MLhistory to record a post-season victory. Spent fourth consecutive season with the Chunichi Dragons of the Japan Central League in Nippon Professional Baseball...Posted a 2.68 ERA (164.2IP, 49ER) in 25 games (24GS)...Was fourth consecutive year in which his ERA was lower than 3.00...Posted a better than 3:1 K-to-BB ratio for the fourth consecutive season...Combined to go 36-30 with a 2.48 ERA (631.1IP, 174ER) and 500 strikeouts in 117G (88GS) in four seasons with the Dragons. Set career-highs with 13 wins, 27 starts, 188.0 innings pitched and 153 strikeouts. Led the league with a 1.54 ERA, 0.93 WHIP and four shutouts in 164.0 innings. Went 7-6 with a 2.90 ERA (114.2IP, 37ER) in 39 games (14GS) in his first season with Chunichi at the age of 22...Memberof the Chinese Taipei national baseball team in the Beijing Olympics...Went 1-0 in two starts in the Games, tossing 7.0 shutoutinnings in a 5-0 win over the Netherlands on August 13. Member of the Chinese Taipei national baseball team in the Athens Olympics. April 28, 2018 Miami Marlins activated LHP Wei-Yin Chen from the 10-day disabled list. April 17, 2018 Miami Marlins sent LHP Wei-Yin Chen on a rehab assignment to Jupiter Hammerheads. March 29, 2018 Miami Marlins placed LHP Wei-Yin Chen on the 10-day disabled list retroactive to March 26, 2018. Left elbow strain. September 4, 2017 Miami Marlins activated LHP Wei-Yin Chen from the 10-day disabled list. August 29, 2017 Miami Marlins sent LHP Wei-Yin Chen on a rehab assignment to Jupiter Hammerheads. August 25, 2017 Miami Marlins sent LHP Wei-Yin Chen on a rehab assignment to GCL Marlins. May 5, 2017 Miami Marlins placed LHP Wei-Yin Chen on the 10-day disabled list retroactive to May 2, 2017. Left arm fatigue. September 19, 2016 Miami Marlins activated LHP Wei-Yin Chen from the 15-day disabled list. July 24, 2016 Miami Marlins placed LHP Wei-Yin Chen on the 15-day disabled list retroactive to July 21, 2016. Left elbow sprain. January 19, 2016 Miami Marlins signed free agent LHP Wei-Yin Chen. November 2, 2015 LHP Wei-Yin Chen elected free agency. June 26, 2015 Baltimore Orioles recalled LHP Wei-Yin Chen from Frederick Keys. June 16, 2015 Baltimore Orioles optioned LHP Wei-Yin Chen to Frederick Keys. August 31, 2014 Baltimore Orioles recalled Wei-Yin Chen from GCL Orioles. August 27, 2014 Baltimore Orioles optioned LHP Wei-Yin Chen to GCL Orioles. September 1, 2013 Baltimore Orioles recalled Wei-Yin Chen from GCL Orioles. August 28, 2013 Baltimore Orioles optioned Wei-Yin Chen to GCL Orioles. July 10, 2013 Wei-Yin Chen roster status changed by Baltimore Orioles. June 29, 2013 Baltimore Orioles sent LHP Wei-Yin Chen on a rehab assignment to Bowie Baysox. May 14, 2013 Baltimore Orioles placed LHP Wei-Yin Chen on the 15-day disabled list retroactive to May 13, 2013. Strained right oblique. October 7, 2012 Baltimore Orioles activated LHP Wei-Yin Chen. January 10, 2012 Baltimore Orioles signed free agent LHP Wei-Yin Chen.